Investors are salivating for the upcoming Alibaba initial public offering like one of Pavlov's dogs that's just heard a bell ring. Alibaba, often described as the Chinese equivalent of Amazon (AMZN), eBay (EBAY) and PayPal, boosted the price range for its IPO on Monday. The company may now raise $25 billion from its stock sale and could be worth nearly $170 billion once it starts trading on Friday on the New York Stock Exchange under the ticker symbol BABA (BABA). But should investors really try and buy Alibaba on Friday? It's always risky to purchase a new stock on its debut day. Fortunately though, there is already a great (and safer) way to invest in the boom in China's Internet economy: search engine Baidu (BIDU), which is essentially the Google (GOOGL) of China. Baidu has been publicly traded in the U.S. since 2005. The stock has surged 1,600% from its first day closing price! It has done better than Apple, Google and Amazon in the past nine years. The company reported ridiculously strong growth for the second quarter back in July. Sales were up 58.5% from a year ago. Earnings rose 34%. Like Google, Facebook (FB), Twitter (TWTR) and other companies that depend largely on advertising, Baidu has also done a great job of building up its mobile presence. Revenue from mobile now accounts for 30% of total sales. 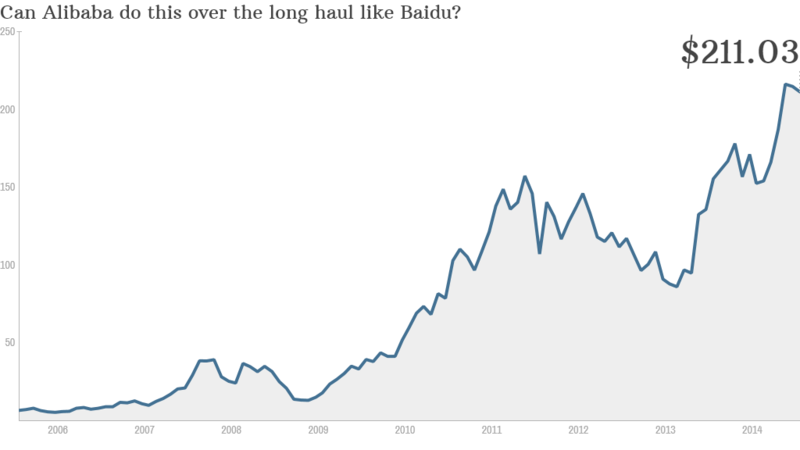 And the best news for investors is that Baidu's stock is still reasonably valued. Even though one share costs more than $200, Baidu trades at about 24 times 2015 earnings forecasts. That's not dirt cheap but it doesn't conjure up bad memories of the 2000 dot-com bubble either. This is not to say that Alibaba is going to be a dud. And there are also some big challenges facing Baidu as well. Will Baidu ever be able to expand outside of China in a major way? Currently, its only non-China business is a Baidu-branded search engine in Japan. It's also fair to wonder how successful Baidu might be outside of China since it really has the market there all to itself once Google pretty much gave up on the search market in China in 2010 due to censorship concerns. Speaking of Google, it looks like Baidu is also trying to make a name for itself with driverless cars. Baidu just announced a research partnership with BMW to develop tech for semi-autonomous vehicles. Baidu also has developed a wearable device called Baidu Eye, which is very similar to Google Glass. So is Baidu stretching itself too thin by trying to be too much like Google? Possibly. 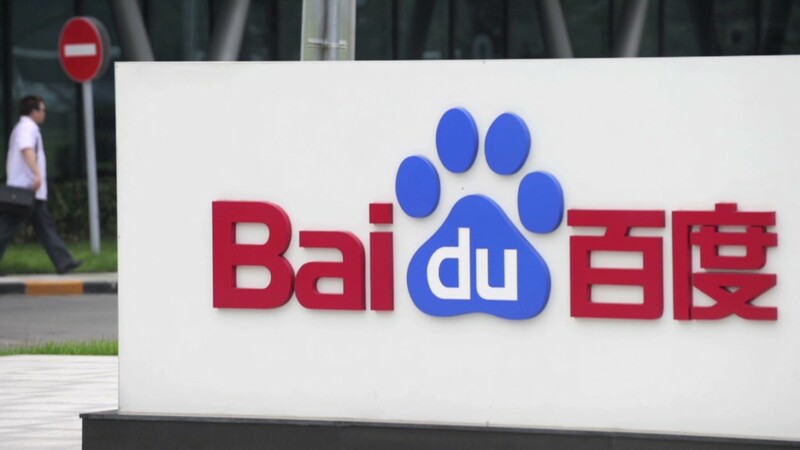 But Baidu, much like Google, has performed well enough to deserve some benefit of the doubt. Investors should remember that too. Alibaba is not the be-all and end-all when it comes to Chinese tech stocks.